More than 400 species of plants inhabit the Laguna de Apoyo Nature Reserve. In spite of the immense diversity of plant life found here, and the official status of a protected area, deforestation is rampant. Some areas have been deforested for a few decades, when the areas were developed as cattle pasture. Although cattle are no longer legally permitted in the reserve, there are still large areas that continue to have few trees from that period. Some locals cut firewood and timber illegally, menacing the trees especially on the northern side of the reserve. GAIA works with local landowners, MARENA and the municipalities to reforest areas sustainably, using seeds from the same forest, with species native to the area. This point offers one strong distinction between our reforestation project and almost every other reforestation project in Nicaragua. At Gaia, we discourage the use of neem, eucalyptus, Benjamin's fig, and any other non-native tree in the area, and we never plant those species. Ceiba seeds (Ceiba pentandra) are highly nutritious, attracting parrots, parakeets and many other birds. The wood from the ceiba tree is not of high value, making it of limited use to illegal forest raiders. The trees tend to form hollow cavities, providing excellent animal habitat, also. Photo Jen Moran. Most reforestation projects are directed at wood production for construction or furniture woods, using few species, and managed in even-age stands. Reforestation projects of these types rarely contribute to wildlife habitat in any significant way. Wildlife, however, need diverse species, of diverse ages, and including hollow trees which are definitely unwanted by production forest managers. The ceiba seeds come in a pod with a fluff that is used by many animals as nest material, and it has been used as packing for bedding until recently among rural people. Photo Jen Moran. One challenge to reforestation and natural forest restoration is to maximize the diversity of tree species expected in a natural forest in the area. This challenge means harvesting a wide diversity of tree seeds, cleaning and classifying them, then seeding them before eventually taking the small trees to the forest for planting. Most of the tree species found in nature in the Nicaraguan forests have never been grown in commercial tree nurseries. There is no readily available information on how to maximize the survivability of those species. We are learning as we go, and enjoying every minute, while making small successes which help the Laguna de Apoyo Nature Reserve to remain as biologically diverse as it can be. In this box, a diverse sampling of forest seeds that have been collected and processed in Laguna de Apoyo Nature Reserve. Our Eco-Warrior Volunteers help with every stage of reforestation. Some trees such as ceiba (also known as kapok) have known uses for nature as well as for man. Other tree species may contribute to the local ecology in ways we do not know. We do try to emphasize the selection of species most appropriate for each particular area, according to the physical features present such as shade, access to water, slope, rockiness, and soil conditions, but in the end, we want to see as many trees of as many species planted in areas that can eventually return to mature forest. Another very attractive species for natural forest restoration is the Guanacaste or Elephant-ear tree (Enterolobium cyclocarpum) The seeds are consumed by many birds and mammals, and were once consumed by locals. Photo Jen Moran. Another challenge to a successful reforestation project is to obtain seed stocks that are robust, healthy and genetically diverse. Furthermore, we want to use seed stocks from local strains. We collect seeds locally, monitoring productive trees for the best moments to make seed collections. Once collected and processed, the seeds are planted in seed bags or other containers, often using materials such as plastic bottles, jet-packs for milk, etc., which give another "life" to these artificial materials that we just can't seem to rid from our lives. If we can eliminate the use of artificial materials, at least we should re-use and recycle, and our reforestation project gives us a good place to put lots of material which otherwise would be waste. Volunteers help seed new trees in nursery bags made from recycled plastics. Photo Jen Moran. We grow out the majority of our seedlings during the dry season in Laguna de Apoyo Nature Reserve, from December through April. Our tree nursery is shaded by a partial tree cover, keeping the intense sun rays down and the evaporation rates lower, as well. Even then, we have to supply lots of water to each seedling as it grows, as well as some tender, loving care to be sure each seedling gets the best chance to grow surely into a small tree. These volunteers filled seedling bags with compost made from our own kitchen! Photo Jen Moran. Most successful seedlings require at least a few months to grow up to size appropriate for planting in the forest. Once up to size, the seedlings must await the first rains, to be taken out and planted in a forest area. In Nicaragua, the seasons revolve around rain, rather than temperature. Eco-Warrior volunteers place seeds in bags with lush soils. Although these volunteers will be long gone from Laguna de Apoyo Nature Reserve when these seeds become trees in the forest, they have left an important contribution to nature in Nicaragua. Photo Jen Moran. There are at least 10,000 mature trees in the forests of Laguna de Apoyo today, which started life in the GAIA tree nursery. Each was planted and attended by volunteers, summing up to many, many hours of donated time. Even then, there are costs that can not be avoided, including water costs, which are very expensive. We maintain a well which entails pumping costs and yearly well maintenance, adding up to almost one hundred dollars per month. Ear guanacaste seeds are not only good for planting, they make very attractive seed jewelry! Photo Jen Moran. Once the seasonal rains begin, seedlings of sufficient size to survive are transplanted into forest habitat restoration plots. Most of the Laguna de Apoyo Nature Reserve is steeply sloped, and the soils are recently formed volcanic ash. The volcano last exploded some 23,000 years ago. As a result, the soils can be quite week, lacking in nitrogen, and extremely susceptible to erosion in the deforested areas. Furthermore, the deforested areas are generally covered with annual grasses which often burn during the dry season, presenting one of the most dangerous hazards to the small, new trees. Our care of these trees must include periodic cleaning of the plots to reduce the risks of fire and constant vigilance against forest fires, especially in March and April, when the risks are greatest. Small trees begin their new life on the steep slopes of Laguna de Apoyo Nature Reserve, in a reforestation plot. If these trees survive, they will grow to increase wildlife habitat and reduce erosion rates into the lake. Photo Jen Moran. During the rainy season, small trees can be planted into reforestation plots. We don't just plant anywhere. We have agreements with landowners who want to return their plots to natural forest and ask us to help them. We agree with them to conditions for land management and together, we make a strategy for handling the problems in their land. In this brushy site, soon there will be a growing forest with trees that will provide a complete cover. This cover is vital to protect the ground against transpiration (drying out during the windy, dry season) and erosion. The native tree species we plant also provide ideal habitat for wildlife. Photo Jen Moran. Our forest habitat restoration project in Laguna de Apoyo Nature Reserve is run entirely by volunteers and donations. We count on people like yourself to participate or donate small amounts to pay for the costs involved. If you, like us, love Laguna de Apoyo Nature Reserve and you would like to see it remain green and full of wildlife, and its waters clear and blue, you might consider helping us with reforesting the reserve as an Eco-Warrior Volunteer. If you can not participate, or by making a small donation to offset the expenses associated with each tree. Contact us if you have any questions or comments! Thanks to our Eco-Warrior Volunteer Jen Moran for the photography in this entry! We have been involved in Spanish language instruction for some time. 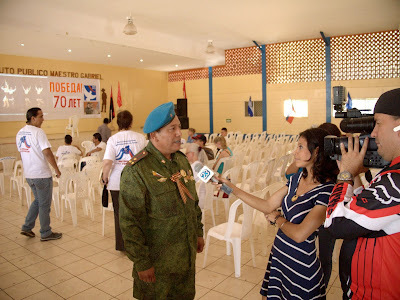 In fact, the Apoyo Spanish School is the oldest of the Nicaragua Spanish schools. That accumulation of experience in Spanish instruction at Gaia-25 years this year-has given us a few lessons. The first lesson we have learned about Spanish instruction is that Spanish is a dynamic language. It is not easy to learn a language in a classroom in some country where Spanish is not spoken by most people. One can learn more Spanish by getting away from the television, radio, and all the chatter of friends and neighbors, at least when these things are going on in English. We are amazed and dismayed when folks ask us if their Spanish teacher will speak English. We hope not! Our teachers work in Spanish throughout the class period, and afterward, the students get to speak with folks in Spanish, too. Apoyo Spanish School classes are surrounded by nature and green vegetation. Spanish students learn and give back through service-learning in our environmental volunteer program. Photo Jen Moran. Most folks feel uncomfortable at first when confronted with a situation in which everything is conducted in Spanish. After all, it is much more comfortable to talk about Spanish than to talk in Spanish. But the latter is really the objective, and talking about Spanish won't ever get you there. Our classes at Apoyo Spanish School help the students learn better and faster by getting them into a total immersion setting. By learning with local teachers, the student also learns the linguistic particularities which abound in Nicaragua. And, there is always the lake inviting one to forget their worries! Studying Spanish can be a bonding experience. Photo Jen Moran. We have also learned that learning is best connected to service. 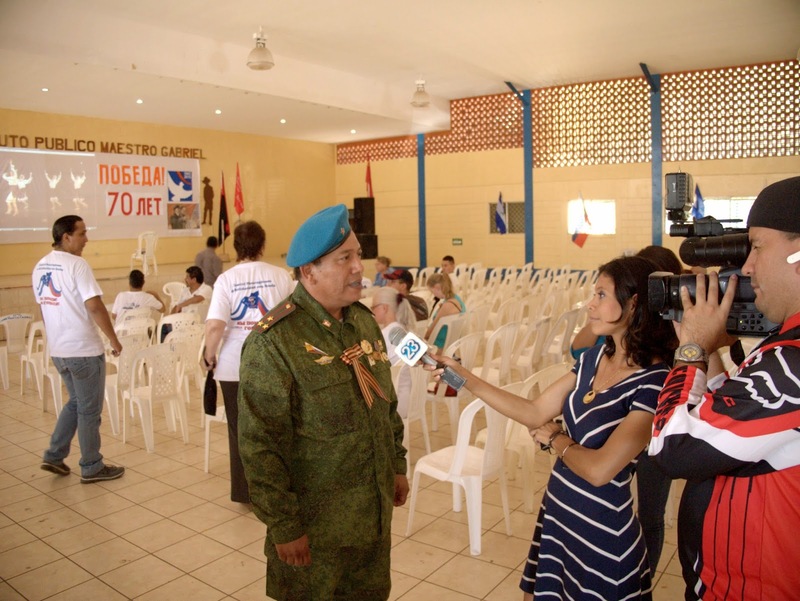 The Apoyo Spanish School is a service-learning program. All students are given ample opportunities to give back to their community by participating in environmental activities. our students help with rescue animals, which may mean things as mundane as cleaning cages, changing water, or collecting seeds and fruits for the animals to eat from the wild forest. Our students also participate in reforestation activities. The Laguna de Apoyo Nature Reserve has several deforested areas, and we work with local landowners to return natural forest cover to those areas, benefiting the wildlife and helping to take care of our precious nature at Laguna de Apoyo. Learning Spanish is also about serving. Students at Apoyo Spanish School participate in activities such as growing trees for regenerating natural forest in deforested areas in Laguna de Apoyo Nature Reserve. Photo Jen Moran. Students volunteer part of their time while studying at Apoyo Spanish School in some activities to make Laguna de Apoyo Nature Reserve a better place for everyone. Every person comes with some special skill or ability, and not everyone can do the same thing. But there is always something to do for everyone. The tree nursery at Estación Biológica in Laguna de Apoyo Nature Reserve has flourished during the dry season, thanks to the participation of students of Apoyo Spanish School. Photo Jen Moran. The reforestation project at Estación Biológica, the site of Apoyo Spanish School, has been immensely successful, in fact it is among the most successful natural forest restoration projects in the region. We have successfully grown over 8000 trees which now are part of the forest canopy. This has required the planting of many trees, because some die from drought, trampling, or especially from fires. We put a lot of effort into every tree so the survival rate is as high as it can be. Our volunteers through the Eco-Warrior program and Apoyo Spanish School are vital to keeping Laguna de Apoyo Nature Reserve wild and beautiful. A mahogany (Swietenia humilis) tree is ready to find a new home in a reforestation plot. Spanish students learn the language in interactions in volunteer activities as well as in the classroom. Photo Jen Moran. Another lesson that we have learned in twenty-five years of Spanish language instruction at Apoyo Spanish School is that learning is a two-way process. Every person who comes to study Spanish with us also brings something for us to learn. The unique contributions of each person that pass our way all leave a mark on us and on the Laguna de Apoyo Nature Reserve. And, our Spanish students leave with substantially improved Spanish skills and memories of service shared with this lovely country. 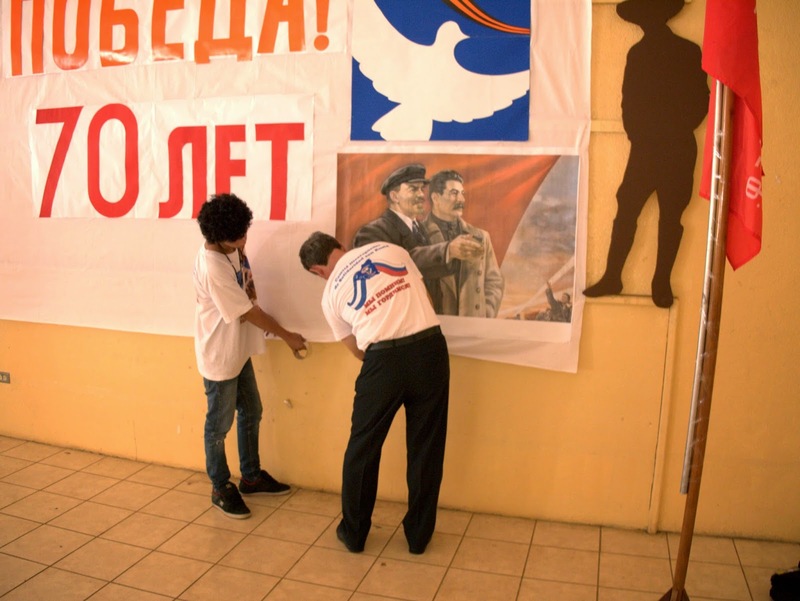 We appreciate the contributions people make to Nicaragua through their service-learning activities. Thanks to Apoyo Spanish School student and volunteer Jen Moran at Jen Moran Photography for these wonderful photos. Visit her website and tell her how much you like her photography! Please contact us if you would like to learn or improve your Spanish at Apoyo Spanish School. Anyone who has had a therapeutic massage in a developing country realizes that the high standards in certification that make a massage beneficial in countries like the USA are absent in the developing world. Not everyone who claims to be a massage therapist has had good training, and getting that good training is not at all easy, for two reasons. The first is that licensed trainers providing well-established training programs are hard to encounter, and the second is that therapeutic massage services are regulated in most states of the US, whereas in Third World countries, just about anyone can claim to be a massage therapist with little or no training, and little regard to quality of the training programs. The same issues exist with yoga practitioners and instructors. There are lots of people out there who have taken some yoga classes, or even a few classes in yoga instruction, but until now, no program exists with certified instructors in yoga practices directed at the Nicaraguan audience. 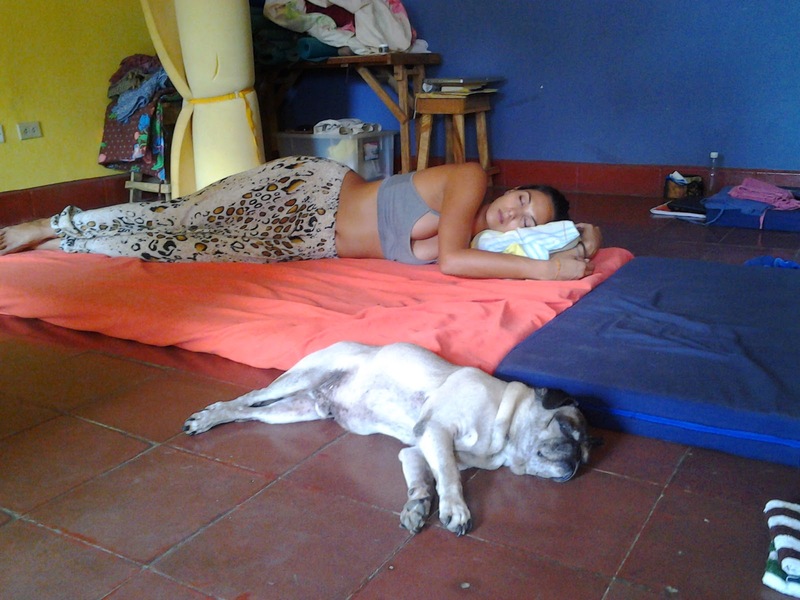 The Seva Centers International site in Leon is the first comprehensive center in Nicaragua where massage therapy, yoga and other holistic practices are offered to Nicaraguans by US-licensed instructors. 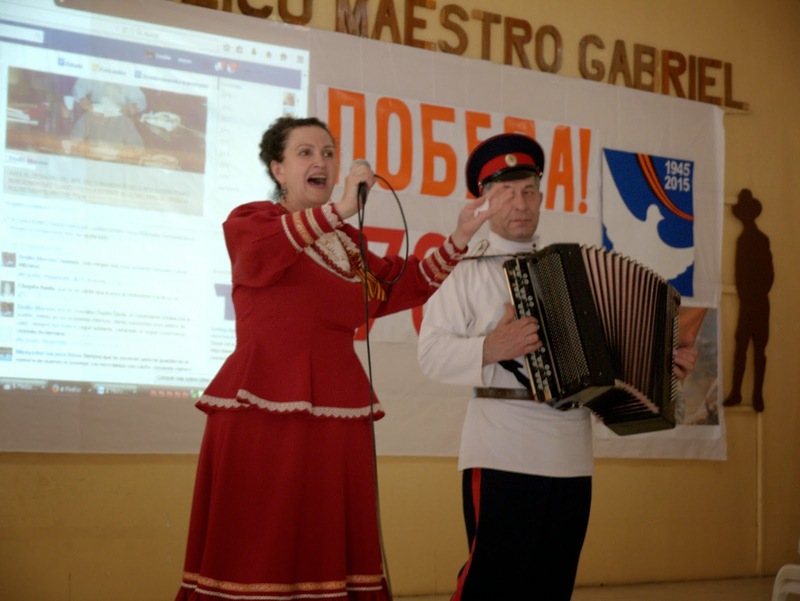 We are now celebrating the Seva Centers International joining the GAIA program at FUNDECI. 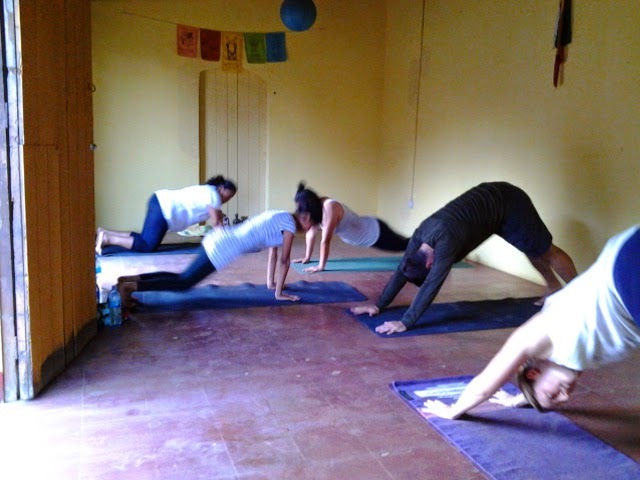 We are working together to bring more and better-trained yoga instructors and Thai massage therapists to Nicaragua. 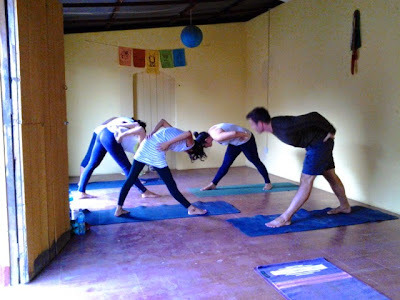 We are convinced of the benefits of yoga to the spirit, mind and body of the participants, and we extend to Seva Centers International in Leon our warmest welcome. Would you like to become a licensed Ashtanga Yoga instructor? 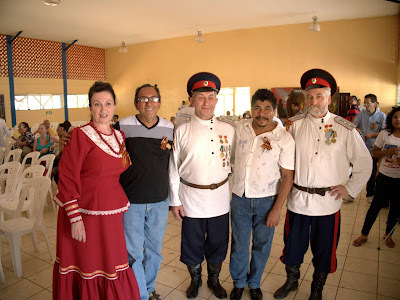 There is no better place than Leon, Nicaragua, to learn and participate with the local community. Interested people should contact Seva Centers International for registration, yoga classes, and yoga instructor training. Please let us know how we can get you involved in Nicaragua! What is the universal understanding of the yoga tradition? That there is a Power greater than ourselves, that desires joy, peace, and prosperity for us. We were born with free will so that which is desired for us must be chosen by us. Suffering exists in this world. Through suffering we can choose to know and understand what our purpose on this planet is and attempt to fulfill it for as long as we live, thus reducing our suffering. Or not. Duality exists. Yamas (Spiritual Observances) Moral principles to live by in order to develop the more profound qualities of our human condition. We are to willingly and joyfully place restraint upon ourselves in order to conduct ourselves . Ahimsa—non-harm, violence and awareness cannot coexist; loving kindness and compassion toward self and others as you think, act, speak throughout the day. Satya—Truth, being honest with self and others with our thoughts, words, actions throughout the day. Asteya—non-stealing, non-gluttony; It refers to the stealing that grows from the fear of lack/ that we cannot create what we need. “We steal because we misperceive the universe as lacking abundance” that there is not enough to go around or that we will not receive reciprocally what we give forth. Brahmacharya—using our energy wisely, following in the path of a HP or acting with Spirit; it implies renouncing one’s earthly desires to focus one’s attention on God/ Higher Power; following our purpose (dharma) in life; maintaining focus (one way to maintain focus is breathing throughout yoga practice, allowing the breath to come from the (chi) the center of the life force. Saucha—(purity) practice of regular detoxification and purification of the body. Neti use, purging (oral, bowels, sweating), washing body, mouth, etc. Purification includes eating food that is healthy and non-toxic to body. It must be understood that food is the life source for our corporal selves and it should “be eaten with reverence, gratefulness, and the attitude of nourishing our physical bodies to serve” the HP. “Our bodies are temples to the Lord”. Santosha—(modesty) feeling content with what one has. It is the practice of accepting what happens to us as meant to happen in order to offer us an opportunity for a life lesson. It is not a predestined event but rather a time to seek God’s will in the event. Simply put, it is a time to ask ourselves “what am I suppose to learn from this event?” This practice includes study, physical efforts, attitude checks, perception checks. Tapas—(burning) “it means to have a burning effort under all circumstances to achieve a definite goal in life”. In yoga it means to heat up the garbage in our bodies and burn it (practice of ujiyaa breath). It means to pay attention to what we eat, to body posture, attention to breathing patterns off the mat as well (when we walk, relate to others, when we feel anxious, angry, peaceful, etc.) Through regular meditation practice one burns up mental toxins and through practice one burns up physical toxins. Svadyaya—(examination) to study oneself—all learning and reflection helps one learn about oneself. Ishvarapranidhana—(lay all your actions at the feet of God) After we do our best, with sincere modesty we leave the rest to a Higher Power. It is giving God the glory for everything that happens inour lives and the reason for the things to happen. It is the emptying oneself of desires in order to fill oneself with the Source of all power. Sun Salutations—awakens and warms the entire body, begin connecting with the breath, begins the rhythm between strength and flexibility work. Balance poses—between movement and stillness, to practice mindfulness, appreciation of one’s body; promote equilibrium and stamina; weight bearing stimulates the bones in the legs, arms, and spine. Backbends—opens our hearts to whatever the universe has for us to accept; stimulates the central nervous system opening up all the energy centers (chakras); tone the adrenal glands, liver, kidney, pancreas; antidepressive. Inversions—reversing our relationship to gravity energizes and stabilizes the whole body; oxygenates the brain to help stimulate and restore neuron activity; balances endocrine system. Twists—stimulate and balance GI, reproductive, and eliminative systems; increase flexibility in hips, shoulders, spine. Supine Poses—body moves freely and serenely through its full range of motion and savasana is the ultimate of the body being free to move between body, mind, spirit. Ujjaya breath—stimulates the energy channels, promotes mental clarity and focus, heats up the body. Pratyahara (Sense Control) it is a state of mindfulness where you are aware of your surroundings yet sense that you are not part of them because your mental and spiritual state are suspended, serene, blissful. It means that even as one participates in the world around them, there is a space between the world and one’s responses to that world. Ultimately, it is the ability to have such mental clarity and magnamity that one can choose his/ her own responses to the world instead of reacting. It is how to choose to use one’s energy and not reacting to the variables that surround him/ her. Dharana (Concentration) the ability to focus on one thing. This is most difficult because it is in the human mind to lack concentration and, therefore, to suffer greatly. If one can accomplish focus or dharana for even a little bit, he/ she reduces his/ her suffering by much greater than that. Austerities are practiced in order to discipline oneself into concentration. These austerities are: solitude, silence, fasting, sexual restraint, celibacy, and holding a posture. Concentration is dramatically boosted by one’s faith and devotion toward the object of concentration. In other words, you can concentrate all your energies on completing a Step and that focus will reward you with significant reduction of suffering. Raga—attraction or attachment to worldly things (tangible/ intangible) which creates in us a pattern of acquisition thus giving us the false security that our fragile existence is protected. Dvesha—attachment to objects of pleasure, thus seeking this pleasure repeatedly even when it clouds the purpose (dharma) of our existence and hide our in-dwelling spirit. Abhinivesha-- because of dvesha and raga a cycle of outflowing of our energy and attention through our senses has been created depleting us of energy which could be ours to experience, to live in abundance, non-attachment, pure enlightenment. Fear that our existence will cease with the death of our physical bodies. Samadhi (Veridical Meditation/ Bliss) “the crown of all the aesthetic spiritual efforts and exercises of a yogi and yogini. There are four stages to reach living in the grace of God: argumentative; non-argumentative existence; reflective; super-reflective. It means reaching Nirvana which translates to mean “complete burning away”—obliteration of one’s individual identity and mergence with God. 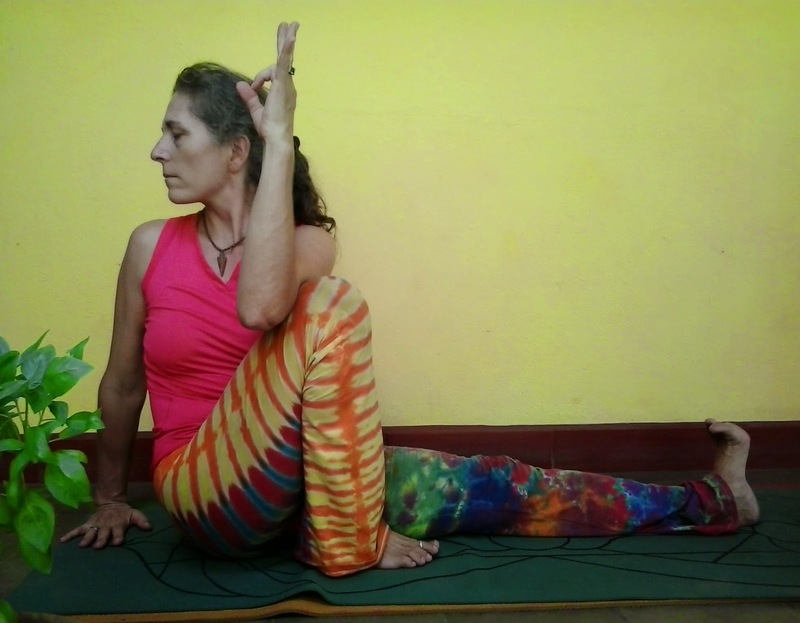 Ashtanga Yoga Instructor at Seva Center, Rebecca Hagman. Photo Rebecca Hagman. Click on the "escudo" to contact us if you would like more information about yoga and Thai massage training at Seva Centers International in Nicaragua. 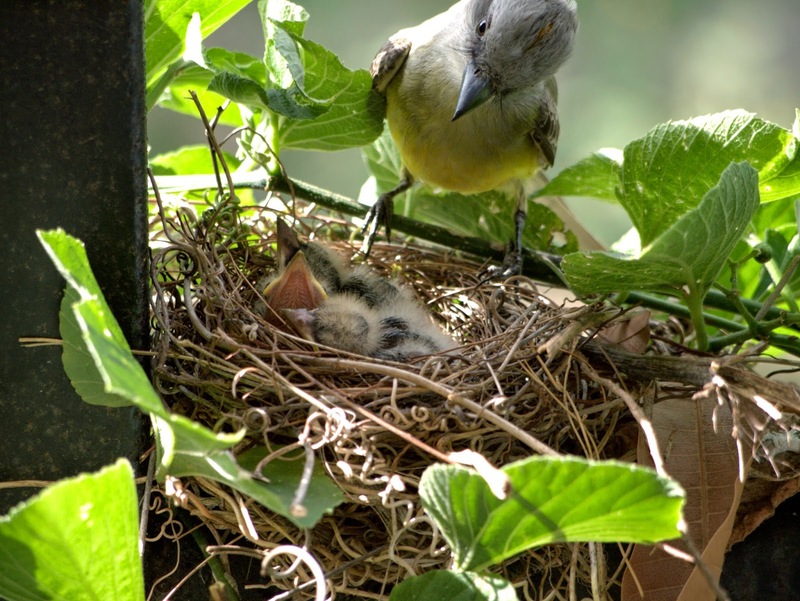 As we earlier posted, a pair of Tropical Kingbirds (Tyrannus melancholicus) produced three eggs this past Mother's Day in a vigorous courtship, which has now become three rapidly-growing chicks. Both parents spend all the daylight hours defending them and providing food for them. Here, we present more photos of this growing family, with special thanks to Rebecca Brown for camera donation. 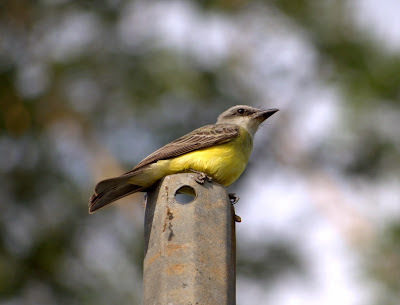 The Tropical Kingbird watches over an open area from a high perch, in plain view of the nest where three chicks are in constant desire of food. Photo Jeffrey McCrary. 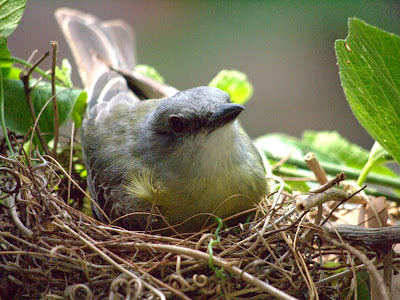 Within a week of hatching, incipient wing-feathers became visible among the hair-like plumage characteristic of most nestlings. 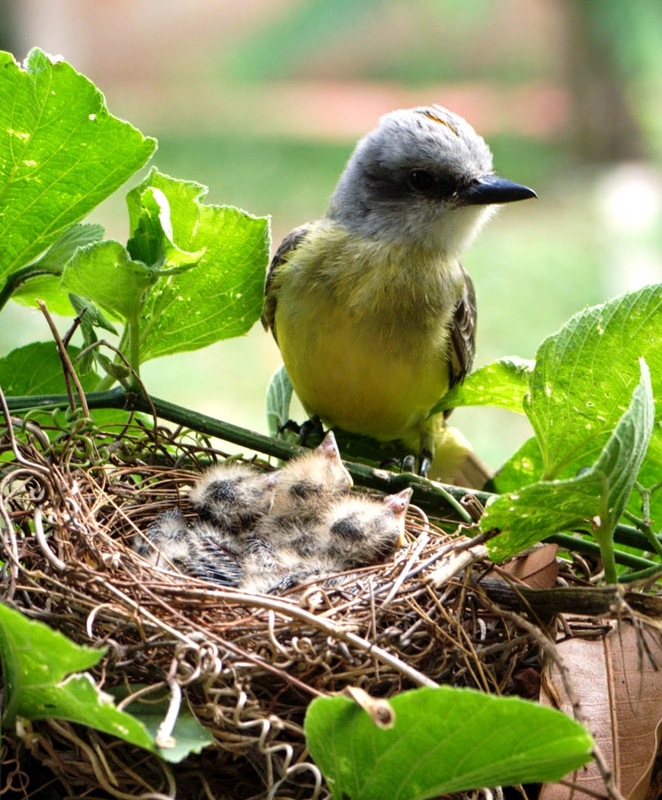 The Tropical Kingbird chicks have grown rapidly, but sleeping and eating are their only activities. A week after hatching, these Tropical Kingbird (Tyrannus melancholicus) chicks are beginning to show flight feathers. Photo Jeffrey McCrary. One parental bird remains with the nest at night, but both parents are seeking food for the chicks all day long. They mostly catch items on the wing, capturing all kinds of insects in the sky, grabbing arthropods from leaves or even plucking tiny fruits such as hot peppers. Although little idle time remains for the adults, they communicate constantly, bicker, and they even occasionally perform a "dance"-each flying in tandem about four meters high, from a perch, while singing. Once the Tropical Kingbird chicks awaken, only one thing can be on their minds-food. The parents feed them small insects and fruits, and even larger insects such as butterflies and dragonflies. Photo Jeffrey McCrary. Both parents are near the nest during all daylight hours and nothing happens there of which they are not immediately aware. 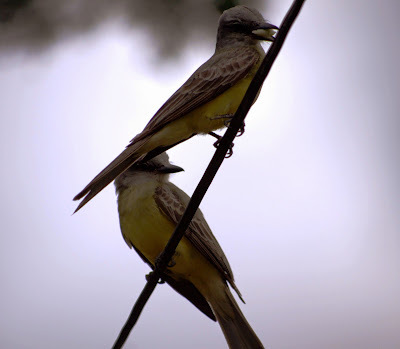 They squabble with other birds, especially Social Flycatchers which have a nest only some twelve meters away. The Tropical Kingbirds are adept flyers and fearless, taking on any animal that enters its territory, even humans, who will feel their presence from behind if lingering nearby. The orange flash colors in the crest of this Tropical Kingbird are visible when the bird feels threatened, although the chicks are all oblivious to any danger nearby. Photo Jeffrey McCrary. Far from being free of danger, these chicks at one week of life after hatching would represent a merry morsel to most other animals. The parents must continue their protection aggressively, given that the nest and chicks are readily visible and accessible from land and air. 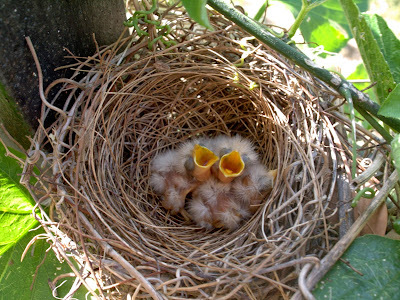 Upon waking, the chicks immediately open wide and beg, expecting a tasty insect or fruit. 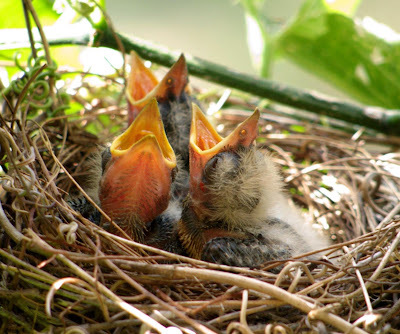 Whereas in the first couple of days, all food brought was regurgitated, the chicks now must ingest their food items without as much prior treatment. Photo Jeffrey McCrary. The Tropical Kingbird is not only valiant, it is also somewhat tolerant of humans, permitting some great opportunities for nature photography. While by no means the rarest or most spectacular bird in Nicaragua, it is nonetheless an interesting and somewhat willing subject, and an example of what a birdwatcher can expect beyond just seeing a lot of different birds. These birds are available to the observer in both forested and altered settings, and they can make a fine show. Parental Tropical Kingbirds both deliver food in turn throughout the day. Photo Jeffrey McCrary. A parental Tropical Kingbird observes in loving contemplation of the chicks. Photo Jeffrey McCrary. 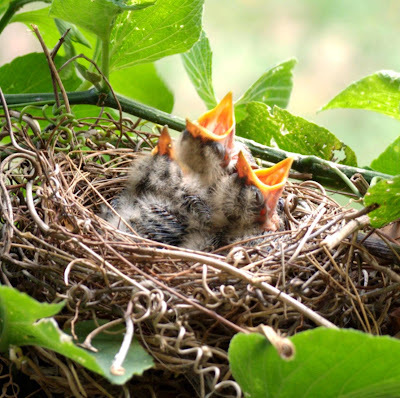 The chicks still have considerable growth ahead of them before fledging, and even then, dependence continues, as they learn to fly and feed themselves. This parental pair will continue to be busy for weeks to come. Foods provided to the chicks include vegetable matter, as is shown in the bill of one of the parental units. Photo Jeffrey McCrary. We at FUNDECI/GAIA organize birdwatching tours in Laguna de Apoyo Nature Reserve and elsewhere, and we would love to take you on a birdwatching excursion. Even common birds such as the Tropical Kingbird can make a marvelous camera model and give plenty to watch. This is only one of more than 220 bird species found in Laguna de Apoyo Nature Reserve and more than 700 species in Nicaragua. Please contact us if you would like to go birdwatching with us, or if you would like to participate in bird research or monitoring with us. Although the selected day differs from country to country, May is the month in which our mothers are remembered. It is fitting that many birds in the tropics hatch in this month, too. The always-vigilant Tropical Kingbird has hatched three eggs successfully on the afternoon of US Mother's Day, 10 May 2015. All eggshells and debris have been removed from the nest, and the chicks are being fed regurgitated insects. 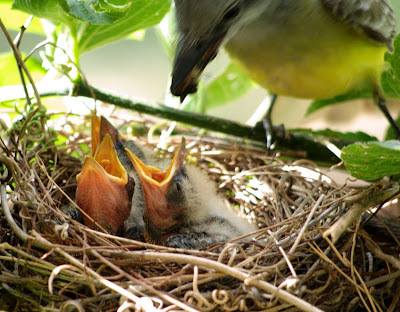 Three baby Tropical Kingbirds (Tyrannus melancholicus) in their first day since hatching. Photo Jeffrey McCrary. The pair of Tropical Kingbirds have vigilantly guarded their three eggs since 24 April, against doves, grackles, and even squirrels. 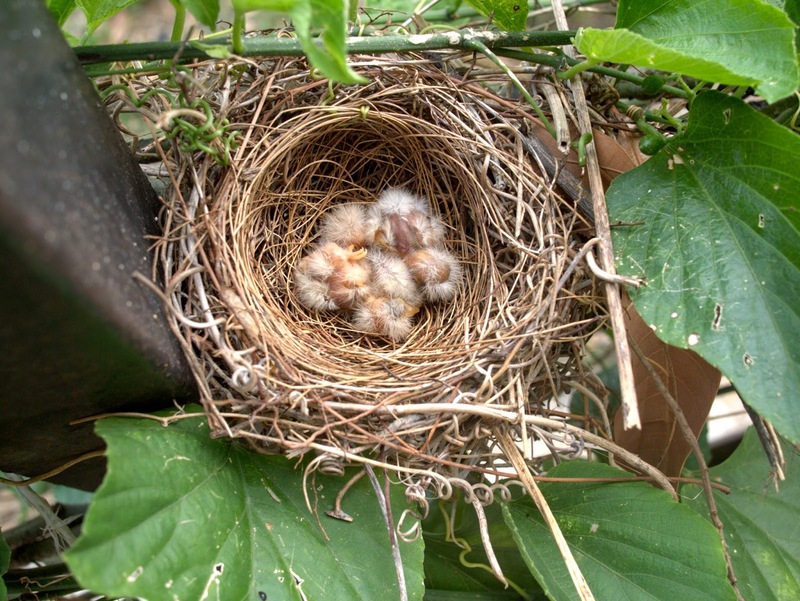 Nest parasites such as cuckoos and Melodious Blackbirds are abundant in the area, but the vigilance of these feisty flycatchers is rewarded by not being stuck with a parasitic egg. Both parents are continuously present and attentive to their nest. Feeding time! Photo Jeffrey McCrary. 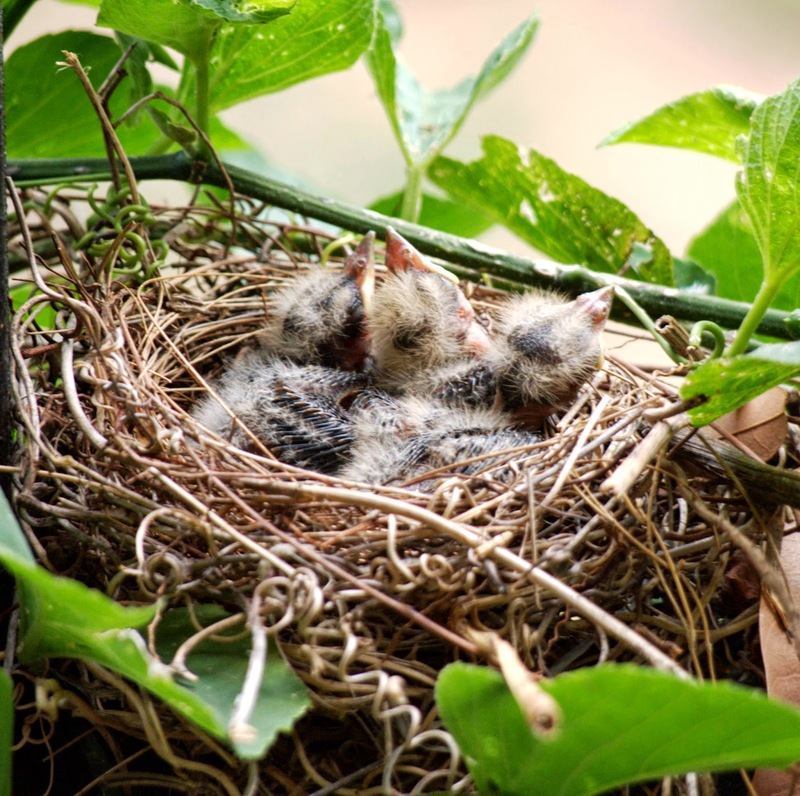 One can not always be in the jungle, but this small miracle of life is a reminder that even urban birdwatching can also bring some special rewards. Tyrannus melancholicus caring for eggs. Photo Jeffrey McCrary. And parents quarrel among all species, even on Mother's Day! En la guerra más terrible de toda la historia del ser humano, perecieron hasta 85 millones de vidas. 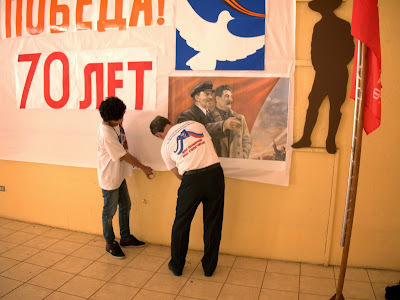 Y la nación que sufrió más, podria ser la Unión Soviética. En tan sola la Batalla de Estalingrado, las vidas perdidas podrían haber llegado a dos millones. Los rusos nunca se olvidarán. 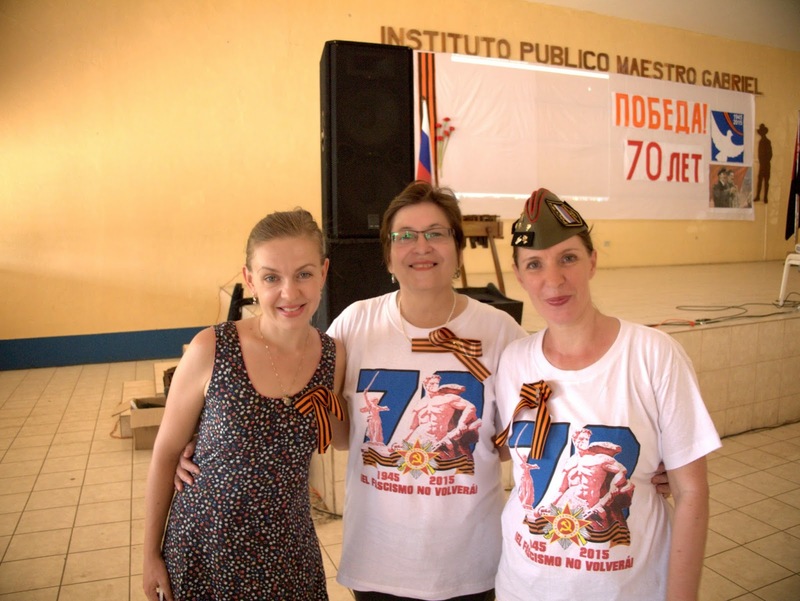 La comunidad rusa en Nicaragua, incluyendo numerosos nicaragüenses que han convivido con los rusos en momentos importantes en sus vidas, celebró la victoria sobre las fuerzas alemanas este pasado 9 de mayo, el septuagésimo aniversario de la victoria, en un pequeño acto cultural. 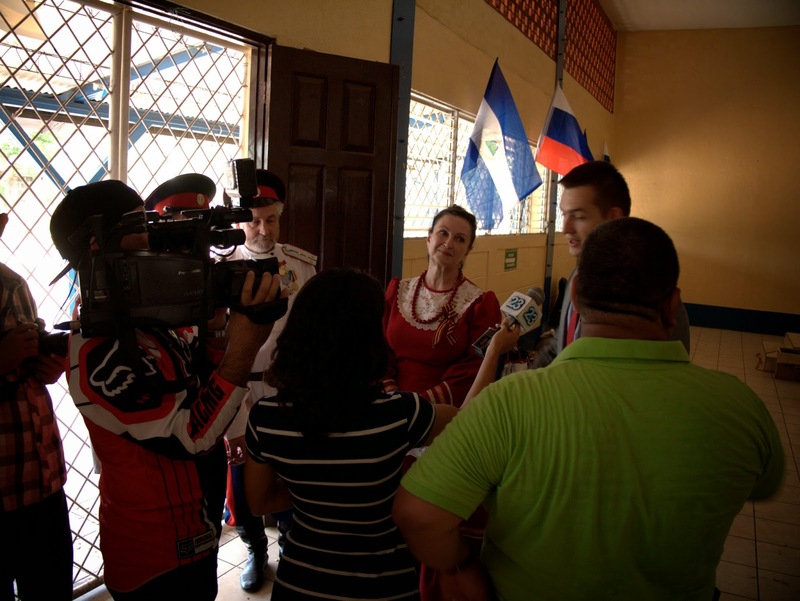 Rusos recordaron las pérdidas en sus propias familias, y se aprovecharon la oportunidad de expresar su solidaridad con Nicaragua y convivir un momento de alegría. El Programa Gaia de FUNDECI participó en la celebración, y a continuación hay fotos y videos de diferentes momentos en el evento.